While African-American representations in urban crime or blaxploitation cinema have become a source of critical interest for film critics and race theorists alike, Harry M. Benshoff's article offers a cult case study of the largely untheorized areas of blaxploitation horror (1969-76). As defined by titles such as Blacula (1972), Ganja and Hess (1973), Sugar Hill (1974), and Abby (1974), this cycle subverted established genre imagery of the racial Other as monster to filter wider issues of black nationalism, pride, and machismo that were sweeping the USA at the time. Blaxploitation horror - a horror film made in the early 1970s that had some degree of African American input, not necessarily through the director but perhaps through a screenwriter, producer, and/or even an actor. Signifies a historically specific subgenre that potentially explores (rather than simply exploits) race and race consciousness as core structuring principles. Benshoff looks to investigate American race commentary during the time blaxploitation horror films were produced and released for audiences. - How are the generic tenets of "normality" and "difference" refigured (if they are) when viewed through the lens of a marginalized racial collective? - In what ways might these films have addressed the specific fantasy needs of the black social imaginary? Additionally, blaxploitation horrror does suffer from a "demonization of gender and sexuality" demonstrated in certain films, enough to present an overall problematic approach to the issues in these films that can at times, be overshadowed by the black pride/communal feel and articulation of a shift of popular African American cultural expressions at its time. 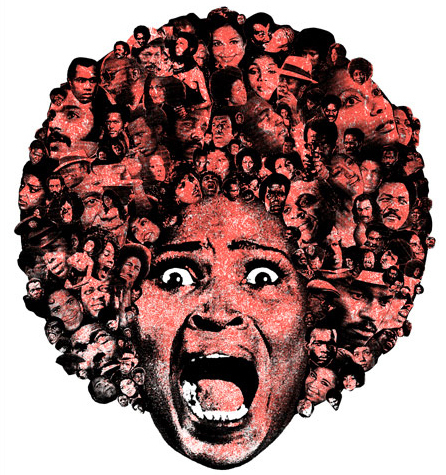 Tying into the Afrocentric culture of late 1960s/early 1970s, many blaxploitation horror films reappropriated the mainstream cinema's monstrous figures for black goals, turning vampires, Frankstein monsters, and transformation monsters into agents of black pride and black power. There was a sympathy and empathetic shift towards the title monster who acted as an active opposer to an oppressive, dominant order. Here, this was coded as, "normality". Gender & sexuality was coded as "difference"
Most blaxploitation horror films attempted to advance the race by promoting the strong black male avenger; even if monstrous, he was romanticized and celebrated. Female monsters were more regularly deemed truly monstrous because of their wanton sexuality (Abby) or were contained within patriarchal parameters through both plot and cinematographic objectification (Sugar Hill). Conclusively, "Blaxploitation horror films may have attempted to reappropriate the genre for racial advancement, but the genre's deeply embedded structure still worked to reinscribe racist [sexist and homophobic] tropes." Is it fair to dichotomize male and female characters in blaxploitation horror films? What does Benshoff miss by reducing his argument to "normality" and "difference"? Historically, what has constructing a 'Black horror film monster' meant in the American consciousness? Does this historical context expand globally? What are some of your favorite Blaxploitation horror characters? Describe them.